Research studies have examined the relationship between working memory, cognitive skills, and academic abilities. However, while some studies and scientific articles have demonstrated that working memory can be increased through direct intervention in either the clinical or classroom setting, other studies have failed to show any further transfer. These conflicting results are a key concern, as they suggest that generalization effects are elusive and inconclusive. Some research has utilized computer software programs to enhance cognitive skills with a focus on working memory training; however, an alternative approach on working memory is the use of a human mediator. In this book, we present results that demonstrate the idea that working memory training does not seem to have a causative effect in relation to verbal, nonverbal, and academic abilities when using The Equipping Minds Cognitive Development Curriculum for 30 hours of intervention. It removes this limitation for learners with a specific learning disorder. This finding adds to the importance of emphasizing deficient cognitive functions rather than deficient working memory alone. Feuerstein R, Lewin-Benham A. What learning looks like: Mediated learning in theory and practice, K–6. New York: Teachers College Press, 2012. Kandal E. The molecular biology of memory storage: A dialog between genes and synapses. Biosci Reps 2004;24(4):475-522. DOI:10.1007/s10540-005-2742-7. Boleyn-Fitzgerald M. Pictures of the mind: What the new neuroscience tells us about who we are. Upper Saddle River, NJ: Pearson Education, 2010. Carretti B, Borella E, Cornoldi C. DeBeni R. The role of working memory in explaining the performance of individuals with specific reading comprehension difficulties: A meta-analysis. Learn Individ Diff 2009;19(2):246-51. Brown C. Equipping minds cognitive development curriculum. Danville, KY: Self Published, 2015. Mitchell B. Leaving development behind and beginning our pilgrimage. In: McMinn M, Phillips T, eds. Care for the soul. Downers Grover, IL: IVP Academic, 2001:78-101. Piaget J. The child’s conception of the world. Totowa, NJ: Littlefied, Adams, 1979. Piaget J. Genetic epistemology. New York: Columbia University Press, 1970. Kim J. Intellectual development and Christian formation. In: Estep J, Kim J, eds. Christian formation: Integrating theology and human development. Nashville, TN: B and H Publishing Group, 2011. Feuerstein R, Falik L, Feuerstein R. Beyond smarter: Mediated learning and the brain’s capacity for change. New York: Teachers College Press, 2010. Ormrod J. Educational psychology: Developing learners, 8th ed. Upper Saddle River, NJ: Merrill Pearson, 2014. Piaget J. The origins of intelligence in children. In: Diessner R, ed. 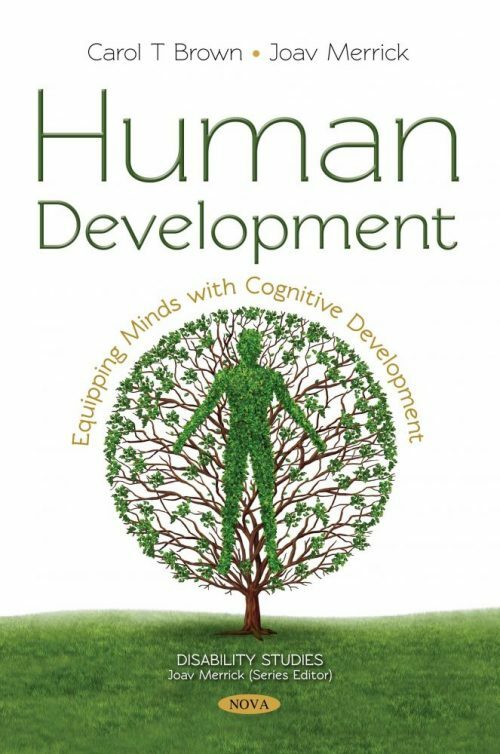 Classic edition sources: Human development, 3rd ed. Dubuque, IA: McGraw-Hill 2007:98-103. Lane J, Kinnison Q. Welcoming children with special needs. Bloomington, IN: West Bow Press, 2014. Piaget J. The significance of John Amos Comenius at the present time. In: Piaget J, ed. John Amos Comenius on education. New York: Teachers College Press, 1967:1–3. Keatinge M. The great didactic of John Amos Comenius. London: Forgotten Books, 2012. Hamilton J. God’s glory in salvation through judgment: A Biblical theology. Wheaton, IL: Crossway, 2010. Johnson E. Human development and Christian formation (class lecture, Human Development and Christian Formation, The Southern Baptist Theological Seminary, Louisville, KY, 2015 Jul 24. Aikin D. A theology for the church. Nashville, TN: B and H Publishing, 2014. Gentry P. Wellum S. Kingdom through covenant: A biblical-theological understanding of the covenants. Wheaton, IL: Crossway, 2012. Hoekema A. Created in God’s image. Grand Rapids, MI: William B Eerdmans, 1986. Calvin J. Jeremiah 20-29: The John Calvin Bible commentaries. Auckland, New Zealand: Titus Books, 2012. Calvin J. Institutes of the Christian religion. Philadelphia, PA: Westminster Press, 1960. Niesel W. The theology of John Calvin. Philadelphia, PA: Westminster Press, 1956. Feuerstein S. Biblical and Talmudic antecedents of mediated learning experience and theory: Educational and didactic implication for inter-generational cultural transmission. Jerusalem: ICELP Publications, 2002. Feuerstein R, Falik L, Feuerstein R. Changing minds and brains. New York: Teachers College Press, 2015. Brown C. Equipping minds for Christian education: Learning from neuroscience for Christian educators. Christian Educ J 2016;13(1):147–68. Brown C. Equipping minds: Applying a biblically based curriculum for improving working memory. Dissertation. Louisville: KY: Southern Baptist Theological Seminary, 2016. Melby-Lervag M, Hulme C. Is working memory training effective? A meta-analytic review. Dev Psychol 2013;49(2):270–91. Tan O, Seng A. Cognitive modifiability in learning and assessment: International perspectives. Singapore: Cengage Learning, 2008. Feuerstein R, Feuerstein R, Falik L. Beyond smarter: Mediated learning and the brain’s capacity for change. New York: Teachers College, 2010. Piaget J. The child and reality: Problems of genetic psychology. New York: Grossman, 1973. Patel V, Aronson L, Divan G. School counsellor casebook. Eur Child Adolesc Psychiatry 2013;22:203-16. The journey to excellence. Intelligence is not fixed. URL: http://journey toexcellence. org.uk/videos/expertspeakers/intelligenceisnotfixedbrianboyd.asp. Feuerstein R, Feuerstein R, Falik L, Rand Y. The Feuerstein Instrumental Enrichment Program. Jerusalem: ICELP Publications, 2006. Feuerstein R, Rand Y. Don’t accept me as I am: Helping retarded performers excel. Arlington Heights, IL: Skylight, 1997. Kozulin A, Lebeer J, Madella-Noja A, Gonzalez F, Jeffrey I, Rosenthanl N, et al. Cognitive modifiability of children with developmental disabilities: A multicenter study using Feuerstein’s Instrumental Enrichment-Basic Program. Res Dev Disabil 2010;31:551–9. Romney DM, Samuels MT. A meta-analysis evaluation of Feuerstein’s instrumental enrichment. Educ Child Psychol 2001;18(4):19-34. Kozulin A. The diversity of instrumental enrichment application. In: Kozulin A, Rand Y, eds. Experience of mediated learning. Oxford: Pergamon, 2000:257-73. Klingberg T. Training and plasticity of working memory. Trends Cogn Sci 2010;14(7):317-24. Holmes J, Gathercole S. Working memory deficits can be overcome: Impacts of training and medication on working memory in children with ADHD. Appl Cogn Psychol 2010;24:827-36. Chein JM, Morrison AB. Expanding the mind’s workspace: Training and transfer effects with a complex working memory span task. Psychonomic Bull Rev 2010;17(2):193. Alloway TP. Can interactive working memory training improve learning? J Interactive Learn Res 2012;23(3):197-207. Alloway T, Bibile V, Lau G. Computerized working memory training: Can it lead to gains in cognitive skills in students? Comput Hum Behav 2013;29:632–38. Haywood HC. Thinking in, around, and about the curriculum: The role of cognitive education. Int J Disabil Dev Educ 2004;51(3):244. Klauer KJ. A new generation of cognitive training for children: A European perspective. In: van der Aalsvoort GM, Resing W, Ruijssenaars A, eds. Learning potential assessment and cognitive training. New York: Elsevier Science, 2002:147-74. Paour JL. Induction of logic structures in the mentally retarded. In: Haywood C, Tzuriel D, eds. Interactive assessment. New York: Springer, 1993:119-66. Green L. Cognitive modifiability in South African classrooms. In: Tan O, Seok-Hoon A, eds. Cognitive modifiability in learning and assessment: International perspectives. Singapore: Cengage Learning, 2008:137-53. Lipman M, Sharp AM, Oscanyan F. Philosophy in the classroom. Philadelphia, PA: Temple University Press, 1980. Kozulin A. Email to the author. Personal communication 2015 Aug 20. Kim JH. Intellectual development and Christian formation. In: Estep JR, Kim JH, eds. Christian formation: Integrating theology and human development. Nashville: B and H Publishing Group, 2011:80. Kreiger S, Kaplan M. Improving inattention and reading in inattentive children through MLE: A pilot study. Int J Cogn Educ Learn 1990;1(3):185-92. Roth M, Szamoskozi S. Activating cognitive functions of children living in an impoverished environment: A Romanian perspective. Hampshire, England: Project Inside, 2001. Martin D. Paradigm assessment and treatment for children with autistic features. ICELP News 2001;1(1):12. URL: http://ictaweb.org/51-2/. Gross S, Stevens T. Mediation and assessment of a young and low functioning child: An initial session. In: Tan O, Seng A, eds. Enhancing cognitive functions. Singapore: McGraw-Hill, 2005:189-208. Brainin S. The effects of instrumental enrichment on the reasoning abilities, reading achievement, and task orientation of 6th grade underachievers. Dissertation. New York: Columbia University, 1982. Sanches P. The study of instrumental enrichment as a tool for improving language proficiency. Teach Think Problem Solving 1994;13(3):9-16. Bohács K. Clinical applications of the modifiability mode: Feuerstein’s mediated learning experience and the instrumental enrichment program. Dissertation. Hungary: University of Szeged, 2014. Brown C. Equipping minds for Christian education or learning from neuroscience for Christian educators. In: Maddix M, Bevins D, eds. Neuroscience and Christian formation. Charlotte, NC: Information Age Publishing, 2016:153-170. Herrnstein R, Murray C. The bell curve: Intelligence and class structure in American life. New York: The Free Press, 1994. Joni and friends. The father's house. URL: https://beta. rightnowmediaatwork.org/ Content/Series/514. Smith JM. US Department of Education: Homeschooling continues to grow [Internet]. HSLDA 2013. URL: https://www.hslda.org/docs/news/2013/ 201309030.asp. Berens F. Telephone interview with author. Personal communication, 2016. Purvis KB, Cross DR, Sunshine WL. The connected child. New York: McGraw-Hill, 2007. Mervis C. Interview by author. Personal communication, 2012. Mervis C. E-mail to author. Personal communication, 2015. Yates F. The art of memory. London: Pimlico, 2007. Hermann D, Chaffin R. Memory in historical perspective: The literature before Ebbinghaus. New York: Springer, 1988. Aristotle. De Anima. Oxford: Clarendon, 1931. Tulsky D, Saklofske D. Clinical interpretation of the WAIS-III and WMS-III. San Diego, CA: Academic Press, 2003. James W. Principles of psychology. New York: Holt, 1890. Miyake A, Shah P, eds. Models of working memory. New York: Cambridge University Press, 1999. Miller GA, Galanter E, Pribram KH. Plans and the structure of behaviour. New York: Holt Rinehart Winston, 1960. Miller GA. The magical number seven, plus or minus wwo: Some limits on our capacity for processing information. Psychol Rev 1956;63:81-97. Atkinson RC, Shiffrin RM. The control processes of short-term memory. Stanford, CA: Institute for Mathematical Studies in the Social Sciences, Stanford University, 1971. Baddeley A. Essentials of human memory. New York: Psychology Press, 2014. Tan O, Seng A, eds. Cognitive modifiability in learning and assessment: International perspectives. Singapore: Cengage Learning, 2008. Shallice T, Warrington E. Independent functioning of verbal memory stores: A neuropsychological study. Quart J Exp Psychol 1970;22:261-73. Craik F, Watkins M. The role of rehearsal in short-term memory. J Verbal Learn Verbal Behav 1973;12:599-607. Craik F, Lockhart RS. Levels of processing: A framework for memory research. J Verbal Learn Verbal Behav 1972;11:671-84. Baddeley A. Working memory: Theories, models, and controversies. Annu Rev Psychol 2012;63:1-29. Baddeley A, Hitch G. Working memory. In: Bower GA, ed. The psychology of learning and motivation. New York: Academic Press, 1974:47-89. Baddeley A, Gathercole S. The phonological loop as a language learning device. Psychol Rev 1998;105(1):158-73. Sternberg RS. Most vocabulary is learned from context. In: McKeown M, Curtis M, eds. The nature of vocabulary acquisition. Hillsdale, NJ: Erlbaum, 1987:89-106. Conway A, Macnamara B, De Abreu PE. Working memory and intelligence. In: Alloway T, Alloway R, eds. Working memory: The connected intelligence. New York: Psychology Press, 2013:3-35. Baddeley A, Allen RJ, Hitch GG. Binding in visual working memory: The role of the episodic buffer. Neuropsychologia 2011;49(6):1393-1440. Kaufman A. IQ testing 101. New York: Springer, 2009. Gaynor JF. The “Failure” of JMG Itard. J Spec Educ 1973;7(4):439-45. Itard JMG. The Wild Boy of Aveyron. Translated by Humphries G, Humphries M. Upper Saddle River, NJ: Prentice-Hall, 1962. French JE. Itard, JMG. In: Kazdin AE, ed. Encyclopedia of Psychology. Oxford: Oxford University Press; 2000. Horvath M, Hoernicke PA, Kallam M. Mental retardation in perspective. ERIC. ED355729, 1993. Jensen A. Galton’s legacy to research on intelligence. J Biosoc Sci 2002;34(02):145-8. Hambrick DZ, Meinz EJ. Working memory capacity and musical skill. In: Alloway T, Alloway R, eds. Working memory: The connected intelligence. New York: Psychology Press, 2013:137-55. Kyllonen PC. Is working memory capacity spearman’s g. In: Dennis I, Tapsfield P, eds. Human abilities: Their nature and measurement. Mahwah, NJ: Erlbaum, 1996:49-75. Shenk D. The genius in all of us. New York: Random House, 2010. Ceci SJ. On intelligence: A bioecological treatise on intellectual development. Cambridge, MA: Harvard University Press, 1996. Boake C. From the Binet Simon to the Wechsler-Bellevue: Tracing the history of intelligence testing. J Clin Exp Neuropsychol 2002;24(3):383-405. Flanagan D, Kaufman AS. Essentials of WISC-IV assessment. Hoboken, NJ: John Wiley, 2004. Sternberg R. Increasing fluid intelligence is possible after all. Proceed Natl Acad Sci;105(19):6791-92. Shelton JT, Elliott EM, Matthews RA, Hill BD, Gouvier WD. The relationships of working memory, secondary memory, and general fluid intelligence: Working memory is special. J Exp Psychol Learn Mem Cogn 2010;36(3):813-20. Gathercole SE, Pickering SJ, Knight C. Working memory deficits in children with low achievements in the national curriculum at 7 years of age. Br J Educ Psychol 2000;70: 177-94. Gathercole SE, Pickering SJ, Knight C, Stegmann Z. Working memory skills and educational attainment: Evidence from national curriculum assessments at 7 and 14 Years. Appl Psychol 2004;18:1-16. LePine R, Barrouillet P, Camos V. What makes the working memory spans so predictive of high-level cognition? Psychonom Bull Rev 2005;12:165-70. Bull R, Johnston RS, Roy JA. Exploring the role of the visual-spatial sketch pad and central executive in children’s arithmetical skills: View from cognition and developmental neuropsychology. Dev Neuropsychol 1999;15:421-42. Bull R, Scerif G. Executive functioning as a predictor of children’s mathematics ability: Inhibition, switching, and working memory. Dev Neuropsychol 2001;19:273-93. Geary DC, Hoard MK, Hamson CO. Numerical and arithmetical cognition: Patterns of functions and deficits in children at risk for a mathematical disability. J Exp Child Psychol 1999;74:213-39. Camos V. Low Working memory capacity impedes both efficiency and learning of number transcoding in children. J Exp Child Psychol 2008;99:37-57. Cowan N. Working memory capacity. New York: Psychology Press, 2005. Jarrold C, Towse JN. Individual differences in working memory. Neuroscience 2006;139:39-50. Alloway T. Improving working memory: Supporting students’ learning. London: Sage, 2011. Alloway T. Alloway Working memory assessment manual, 2nd ed. London: Pearson Education, 2011. Alloway T. Introduction. In: Alloway T, Gathercole S, eds. Working memory and neurodevelopmental disorders. London: Psychology Press, 2006:1–2. American Psychiatric Association. Diagnostic and statistical manual of mental disorders. Washington, DC: American Psychiatric Publishing, 2013;5:31. Alloway T, Elliott J, Place M. Investigating the relationship between attention and working memory in clinical and community samples. Child Neuropsychol 2010;16:242-54. Alloway TP, Gathercole SE, Elliott J. Examining the link between working memory behaviour and academic attainment in children with ADHD. Dev Med Child Neurol 2010;52:632-36. Reichenbe LW. DSM-5 essentials: The savvy clinician’s guide to the changes in criteria. Hoboken, NJ: John Wiley, 2014. Belleville S. Working memory in autism. In: Alloway TP, Gathercole SE, eds. Working memory and neurodevelopmental disorders. London: Psychology Press, 2006:213-38. Archibald LMD, Gathercole SE. Short-term and working memory in children with specific language impairments. Int J Lang Commun Disord 2006;41:675-93. Alloway T, Temple KJ. A comparison of working memory profiles and learning in children with developmental coordination disorder and moderate learning difficulties. Appl Cogn Psychol 2007;21:473-87. Alloway T, Archibald LM. Working memory and learning in children with developmental coordination disorder and specific language impairment. Journal of Learning Disabilities. May-June, 2008;41:251-62.
	van Rooijen M, et al. Cognitive precursors of arithmetic development in primary school children with cerebral palsy. Res Dev Disabil 2014;35(4):826-32. Gersten R, Jordan NC, Flojo JR. Early identification and interventions for students with mathematics difficulties. J Learn Disabil 2005;38(4):293-304. Reuhkala M. Mathematical skills in ninth graders: Relationship with visuo-spatial abilities and working memory. Educ Psychol 2001;21(4):387-99. D’ Amico A, Guarnera M. Exploring working memory in children with low arithmetical achievement. Learn Individ Diff 2005;15:189-202. Alloway T, Passolunghi MC. The relations between working memory and arithmetical abilities: A comparison between Italian and British children. Learn Individ Diff 2011;21(1):133-7. Mentis M, Dunn-Bernstein M, Mentis M, Skuy M. Bridging learning: Unlocking cognitive potential in and out of the classroom. Thousand Oaks, CA: Corwin, 2009. Feuerstein R, Feuerstein R, Falik L. Beyond smarter: Mediated learning and the brain’s capacity for change. New York: Teachers College Press, 2010. Jaeggi S, Buschkuehl M, Jonides J, Perring W. Improving fluid intelligence with training on working memory. Proceed Natl Acad Sci 2008;105:6829–33. Raghubar KP, Barnes MA, Hecht SA. Working memory and mathematics: A review of developmental, individual difference, and cognitive approaches. Learn Individ Diff 2010;20:110-22. Andreassen R, Braten I. Examining the prediction of reading comprehension on eifferent multiple choice tests. J Res Reading 2010;33(3):263-83. Alloway T, Alloway R. Working memory advantage. New York: Simon Schuster, 2014. Alloway TP, Alloway R. Investigating the predictive roles of working memory and IQ in academic attainment. J Exp Child Psychol 2010;106:27. Alloway T, Bibile V, Lau G. Computerized working memory training: Can it lead to gains in cognitive skills in students? Comput Hum Behav 2013;29:632–8. Jaeggi S, Buschkuehl M, Jonides J, Perring W. Improving fluid intelligence with training on working memory. Proceed Natl Acad Sci 2008;105:6829–33. URL: http://www.pnas.org/content/105/19/6829. Alloway T. Introduction. In: Alloway T, Gallercole S, eds. Working memory and neurodevelopmental disorders. London: Psychology Press, 2006:1–2. Jaeggi S, Buschkuehl M, Shah P, Jonides J. The role of individual differences in cognitive training and transfer. Mem Cogn 2014;42(3):464-80. Peng P, Barnes M, Namkung J, Sun C. A meta-analysis of mathematics and working memory: moderating effects of working memory domain, type of mathematics skill, and sample characteristics. J Educ Psychol 2016;108(4):455-73.
	von Bastian C, Oberauer K. Distinct transfer effects of training different facets of working memory capacity. J Mem Lang 2013;69:36–58. Kaufman A, Kaufman N, Kaufman Brief Intelligence Test, 2nd ed. Bloomington, MN: PsychCorp, 2004. Alloway T. Alloway Working Memory Assessment Manual, 2nd ed. London: Pearson Education, 2011. TerraNova, 3rd ed. Monterey, CA: Data Recognition Corporation/CTB URL: http://www.ctb.com/ctb.com/control/ctb ProductViewAction?p=products∏uctFamilyId=449∏uctId=745. Johnson K. Maintaining brains every day DVD. URL: http: www.pyramid of potential.com. Bloomberg H. Dempsey M. Movements that heal: Rhythmic movement. Sunnybank Hills, Australia: Book Pals, 2011. Joundry P, Joundry R. Sound therapy: music to recharge your brain. Sydney, Australia: Success Stream Books, 2009. Alloway T. Alloway R. Investigating the predictive roles of working memory and IQ in academic attainment. J Exp Child Psychol 2010;106:20-7. Johnson K. Maintaining brains every day DVD. URL: http: www. pyramidof potential.com. Brown C. Equipping minds for Christian education: Learning from neuroscience for Christian educators. Christian Educ J 2016;13(1):147-68.